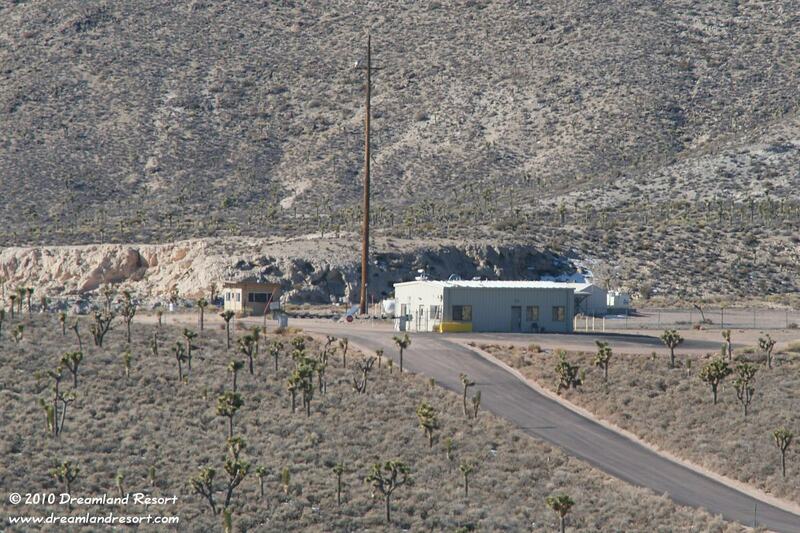 This photo of the Guard Shack on Groom Lake Road, taken in early January 2010, shows the newly paved road next to the Guard Shack. The parking area in front of the building appears to have a new coat as well. Other than that no visible changes. No sign of the new power lines yet. Photo by our reader "wheresjanet", with friendly permission.